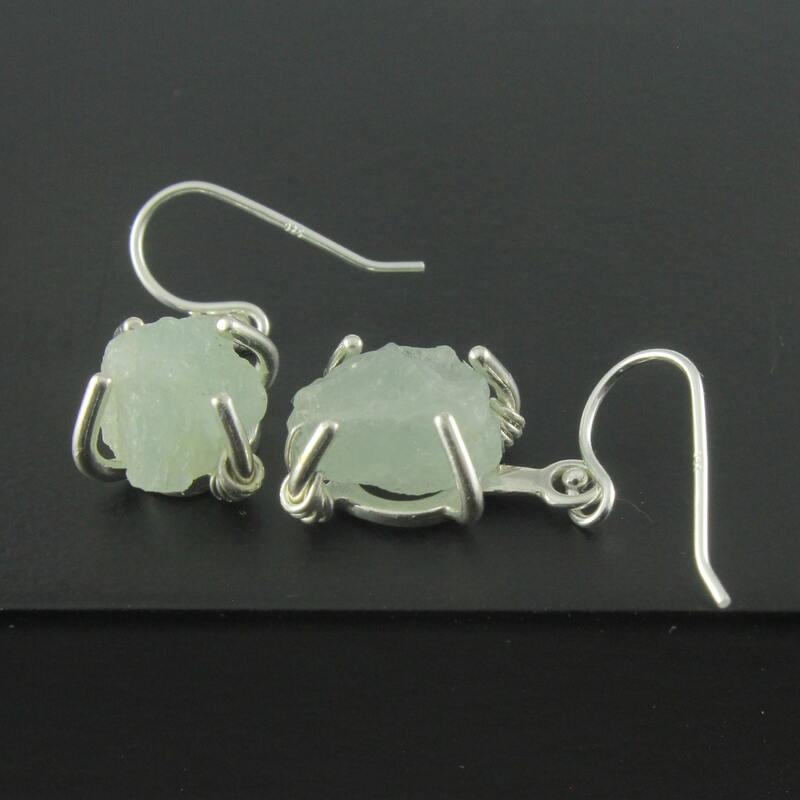 Irregularly shaped rough Aquamarine stones are set on Sterling Silver mountings and are hanging from Sterling Silver ear wires. 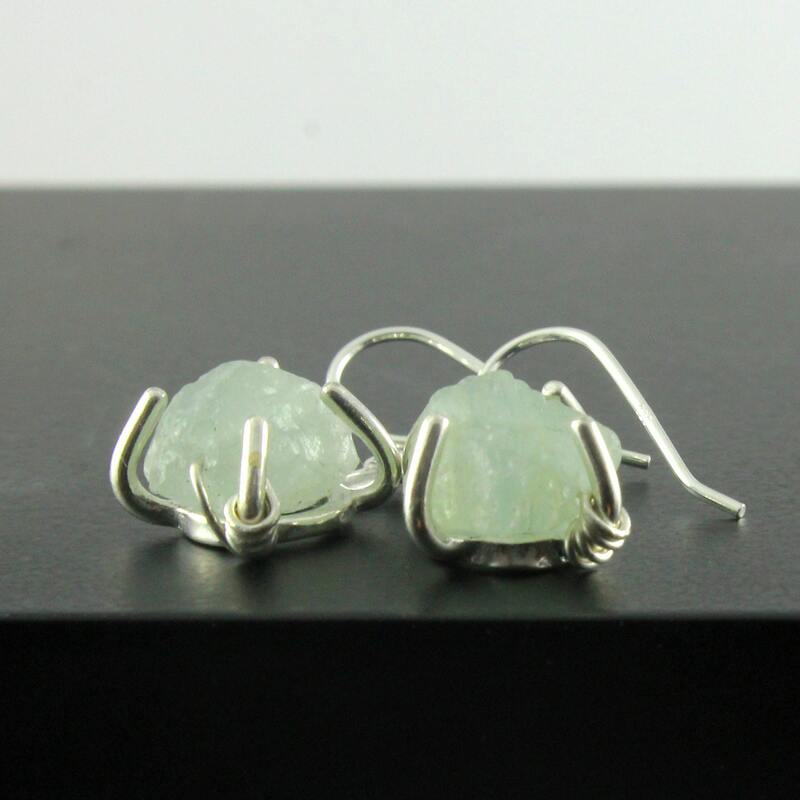 In addition to setting the stones within the mountings, the stones are wire-wrapped with Sterling Silver wire. 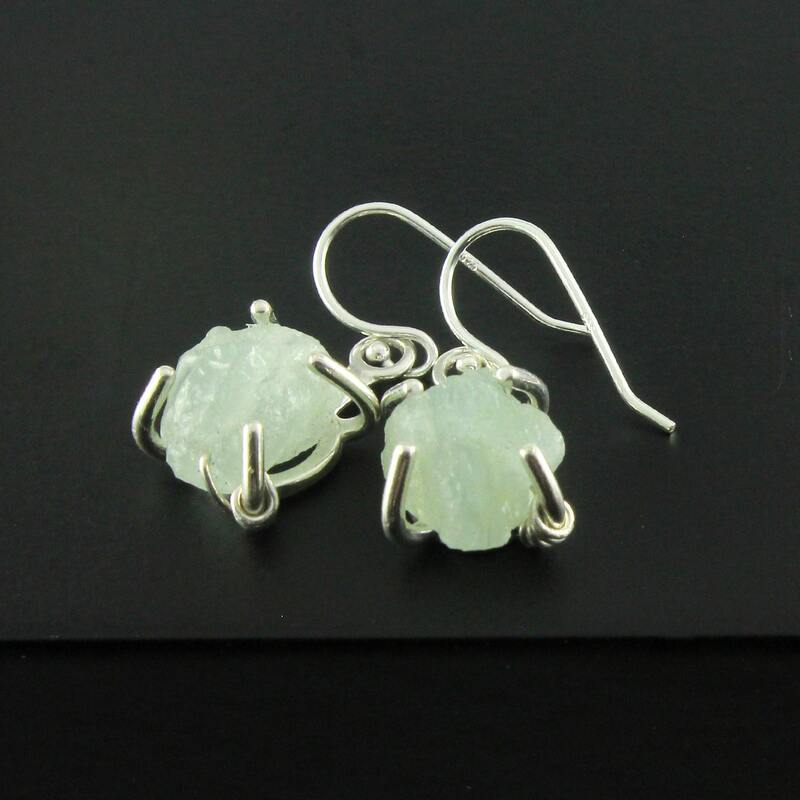 Their uneven shapes make these earrings one-of-a-kind. 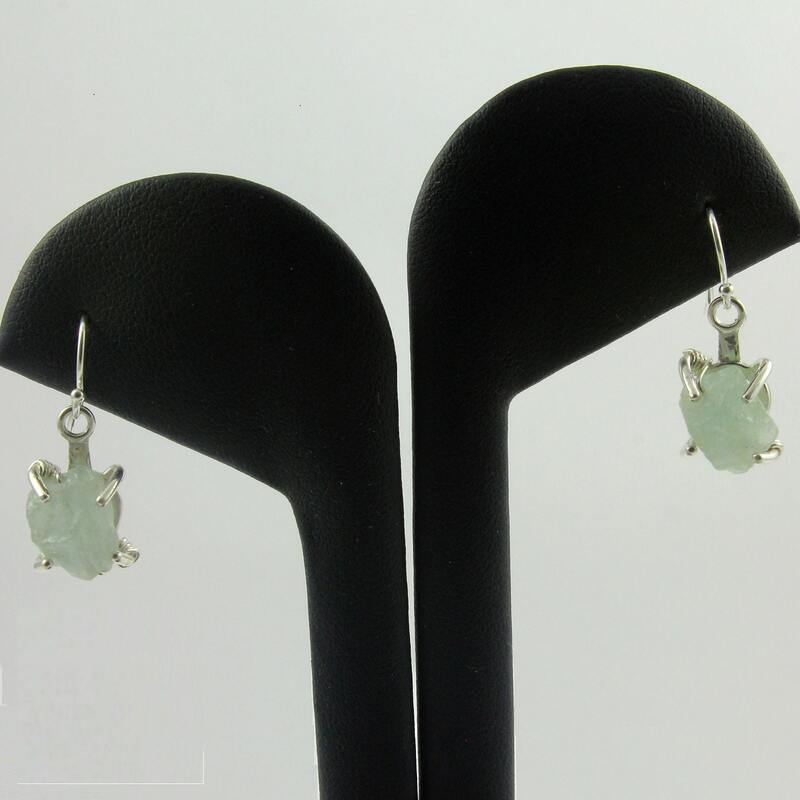 The stones measure approximately 7x10 mm. 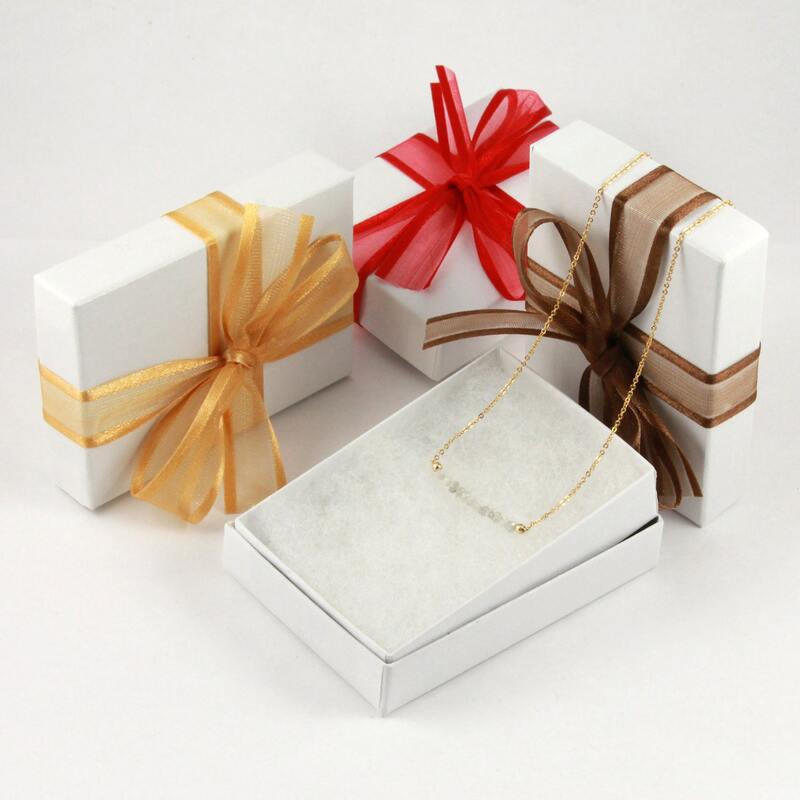 Size, shape and color may slightly vary from one stone to another.